From the Roger Maris Museum in Fargo, we headed west to Jamestown to the National Buffalo Museum and the World's Largest Buffalo. 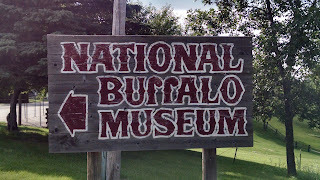 We mostly made this stop because behind the buffalo museum is a 200 acre pasture for a bison herd. 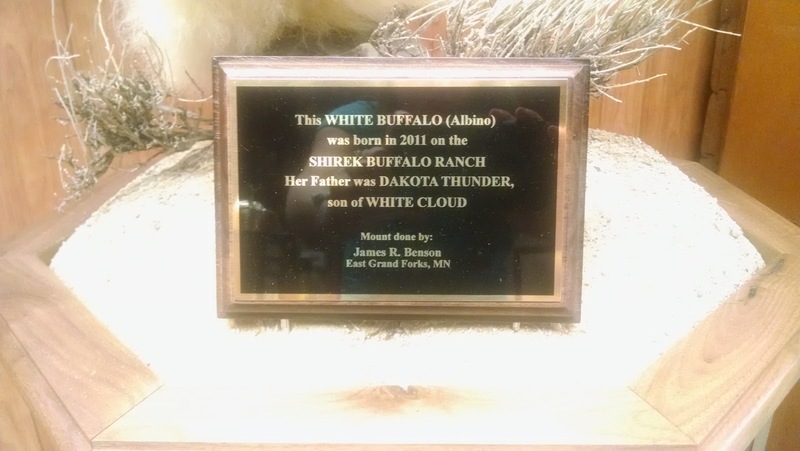 We've seen lots of buffalo before, but this place in particular has an albino buffalo (named White Cloud) which is pretty rare, so I wanted to try to see it. 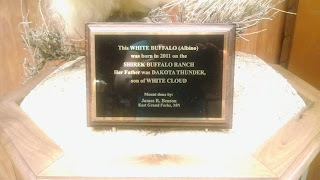 Unfortunately we saw no white buffalo, but we spent some time in the large museum. 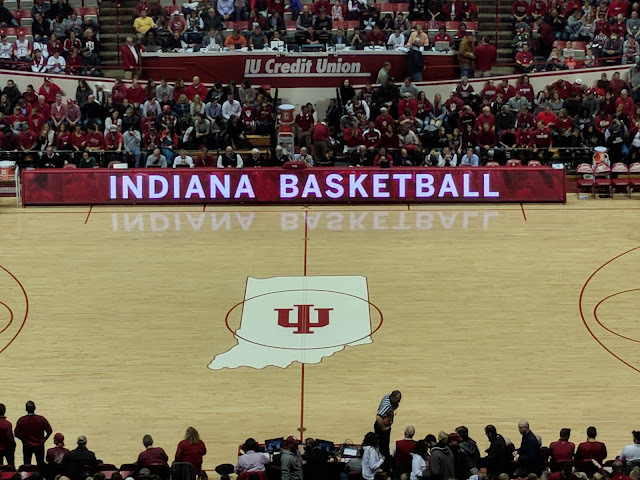 There is a fee, normally $5/adult or $10/family, but with AAA you can get that down to $4/adult. 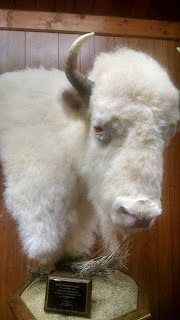 It turned out that basically every museum we went to on this trip had buffalo hides. But I never stopped being impressed with the size of these animals. 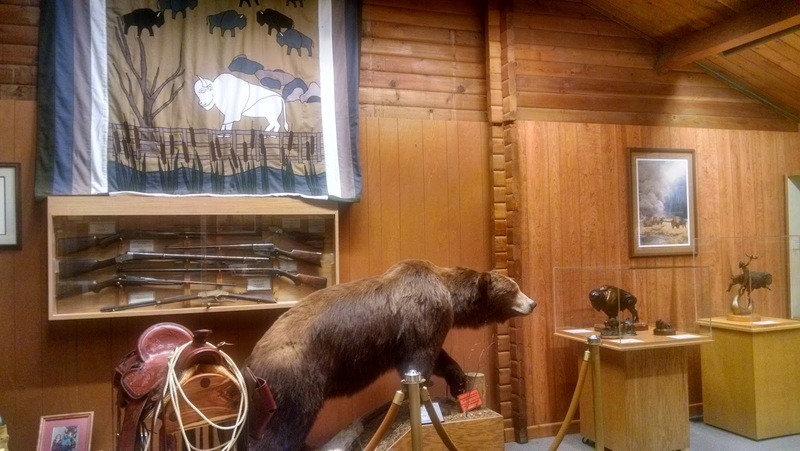 There was so much to see and read in this museum. This section had a bunch of different animal pelts/skins/etc that you could feel. I was kind of weirded out about some of them (birds) but felt a few. 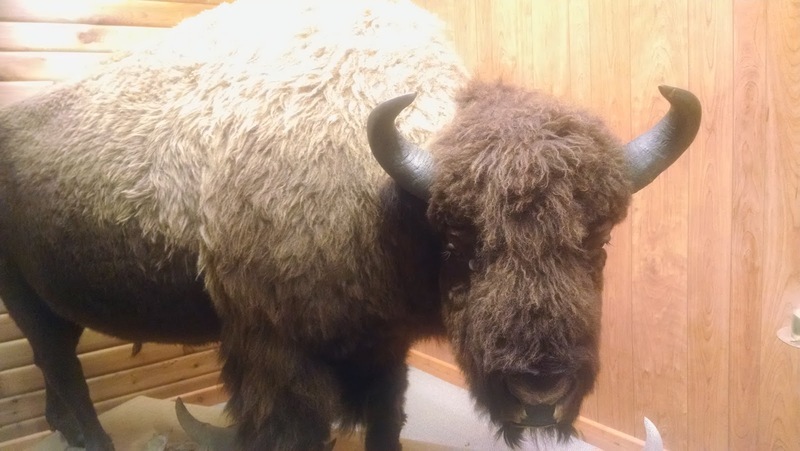 You can see the herd from a lot of places around the museum without actually having to pay or go into the building, but they do have a nice viewing deck off the back to look at the bison. 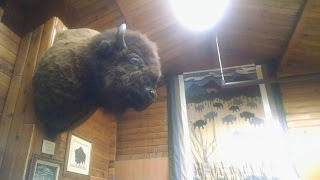 We saw zero bison from the viewing deck, but saw a bunch later on. 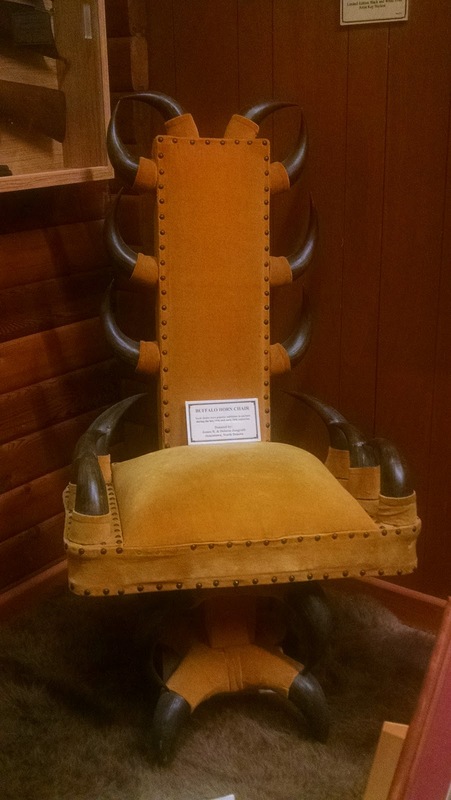 Apparently these kinds of chairs used to be all the rage. Once we had finished the museum, we walked down the street to the World's Largest Buffalo. From the statue, we spotted a bunch of buffalo. 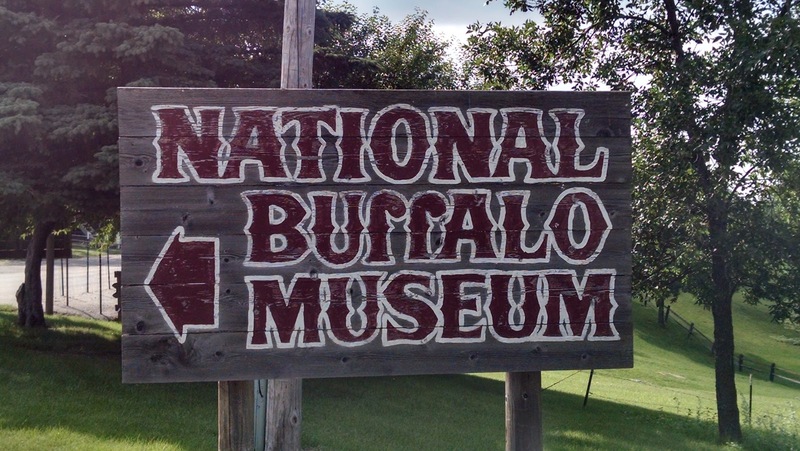 If you find yourself in the middle of North Dakota and want to see some buffalo, this place is a pretty sure bet. We enjoyed watching the bison meander around the preserve and the museum was a good prelude to our trip.